Judging 189 entries which were of a high caliber was not an easy feat, said Cathy Buffonge, one of four judges for the 2017 Montserrat Volcano Observatory (MVO) Poetry Writing Competition. Winners were announced during the recent Alliouagana Festival of the Word. The theme was Restless Earth. MVO Director Dr Rod Stewart said it was quite interesting to hear how different age groups expressed the theme in pieces which ranged from performance to narrative. The director said it was a nice departure from a focus on the volcano, to hear poems about other natural disasters, politics, and the issues that concerned the writers. Entries were submitted in six categories, one of which was an adult section. 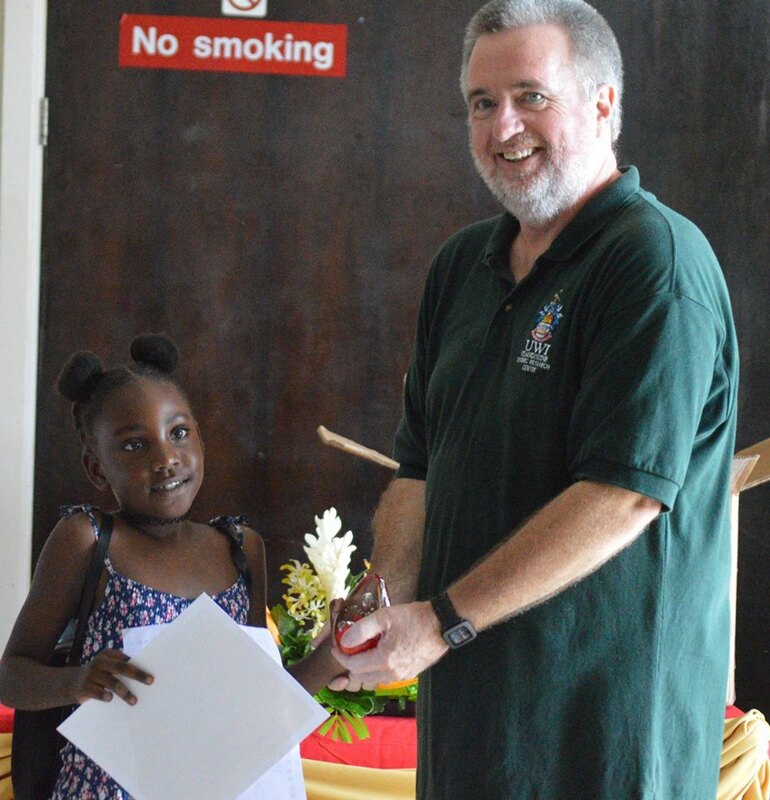 Thaisia Hilton, a student at St Augustine Primary won the MVO Poetry Competition for Grades 1 & 2. 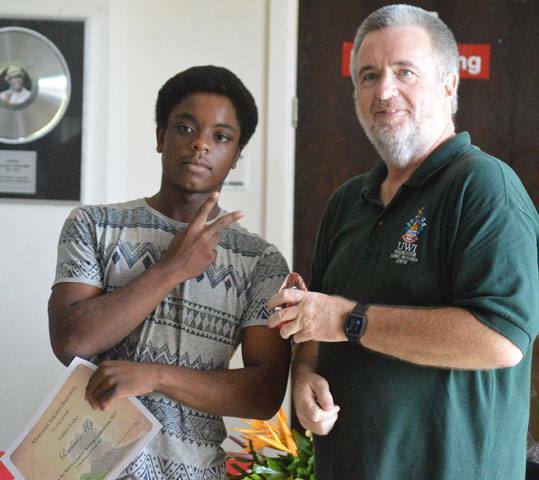 Tafari Eshe poses with MVO Director Rod Stewart.